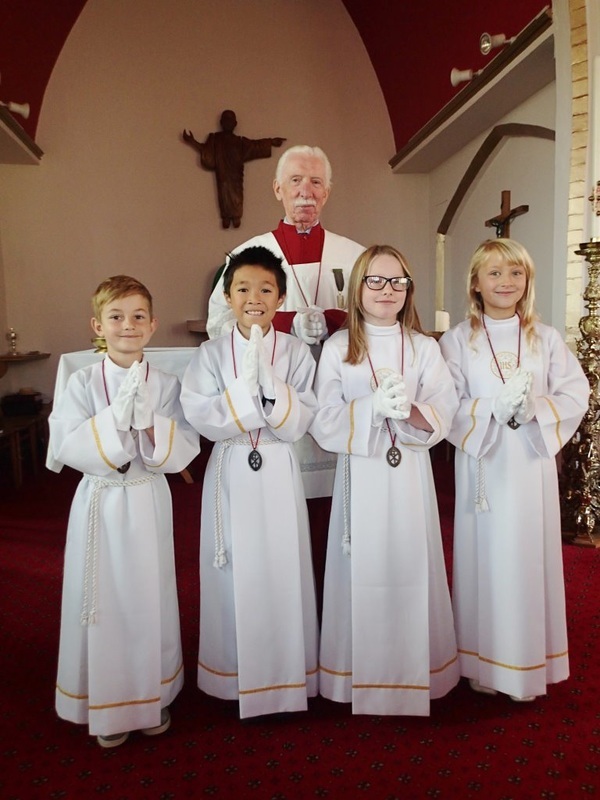 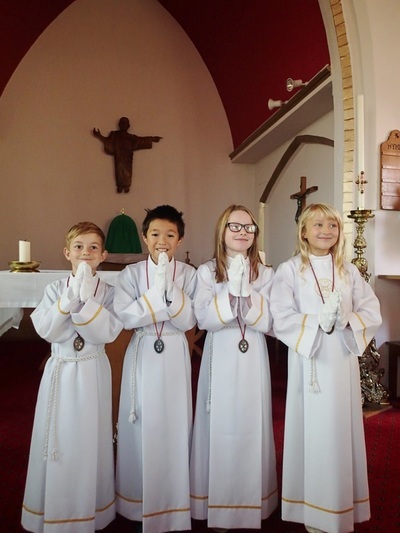 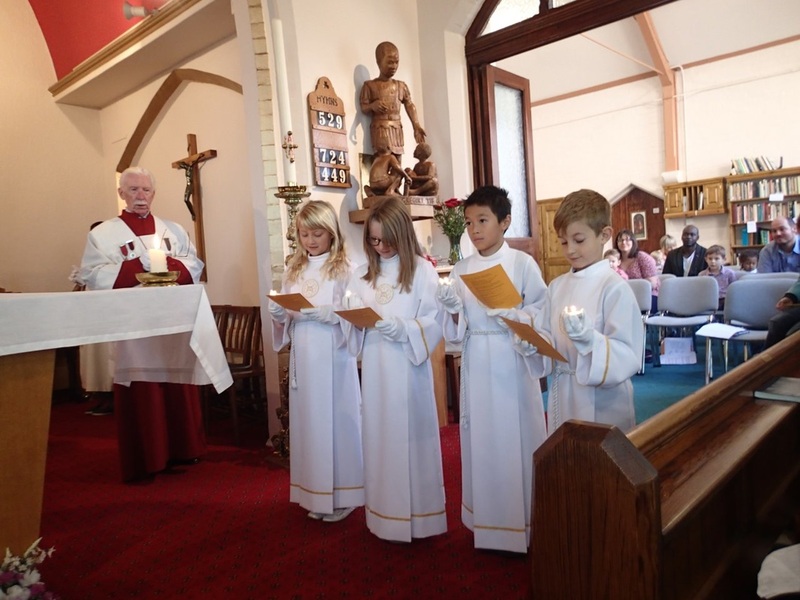 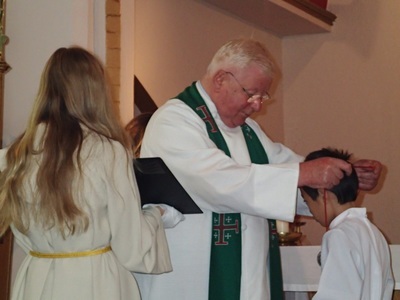 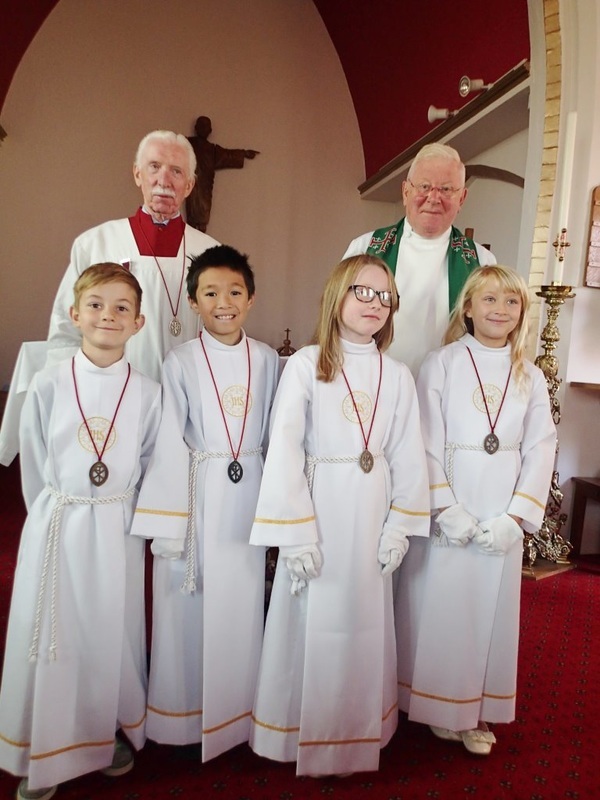 On Sunday 6th September 2015, four new altar servers were inducted into the Guild of St. Stephen and invested with their guild medals which they are now entitled to wear on each occasion that they serve on the altar. 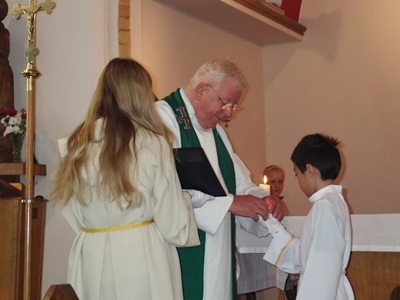 We were delighted that Father Anthony was able to officiate at the ceremony on what was his penultimate Sunday Mass as our parish priest. 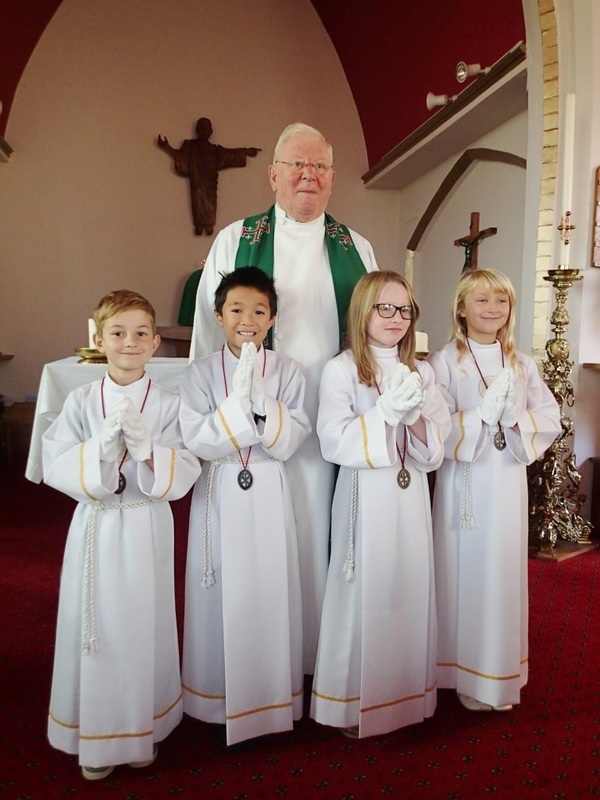 The new servers show every indication of maintaining the high standards set by their mentor, Wilf Doyle.